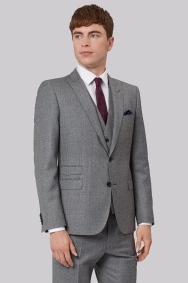 The suit you can throw on in minutes that makes you look like you spent hours on your outfit. French Connection has created this slim fit suit from a great, textured, autumnal fabric that’s soft against the skin and looks good wear after wear. 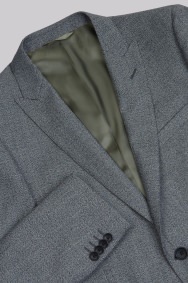 Part of a super stylish three-piece suit, it’s the perfect autumn winter suit for any occasion. 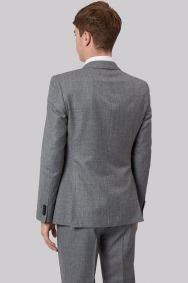 And because it’s light grey, it works well as a backdrop to a bold shirt or accessories for added personality. Wear with the matching waistcoat and trousers, and treat yourself to a brightly coloured silk pocket square to complete the look. 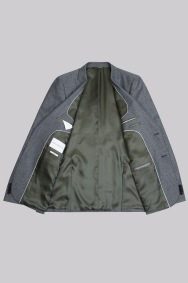 The style and fit is amazing and the green inner lining is a lovely touch. Definitely my best buy so far. It is a Great purchase from you guys. Well tailored and smart. God value for money. Great suit and we'll fitted.